When it comes to car stereo amplifiers, it is easy to say they don't make them like they used to. But that is not the case with Zed Audio. Some of the best old school amps back in the day, like Hifonics, were actually designed and made by Zed Audio. They were made by Stephen Martz, who is the owner of Zed Audio. Stephen still does work for other manufacturers, but now he also produces his own brand of amps. In the world of car stereo amplification, Stephen Martz is nothing short of legendary! So when I heard that Stephen had some brand new amps that came out, I jumped on the opportunity to review them. And they also continue with our series of Made in the USA car stereo components. You read correct! Stephen Martz keeps a hands on approach, and actually makes these amps out of sunny southern California. I also really like the approach that Stephen chose for his amps. Amps are made to put out power. So it is easy to be tempted to design them for more output. In order to do that, the amp needs to be able to handle low impedance's, such as 2 ohm, and 1 ohm. I have even seen amps rated at 1/2 ohm loads. These low impedance loads will put out more power. And because of the more power output, consumers have learned to look for amps that can handle these low loads. After all, we all want the biggest bang for our buck, and if you have a subwoofer that can handle say 1,000 watts, you want to give it 1,000 watts. And after all, the more power you give your subwoofer, the louder it will play. Max power, however, can come at a cost. This cost is sound quality. A 1 ohm load will cause your amp to put out more power, but it won't sound as clean as it would if you ran your amp at 4 ohms. Look at it this way....would you rather get a standard order of a few chicken strips at say TGIF Fridays, or 40 pieces of McDonald's chicken nuggets? It's a similar idea......not as much food, but much more tasty! Also, running your amps at 1 ohm puts more strain on your amp and will reduce it's lifespan. Zed Audio has chosen the route of quality, and has really pushed the education of consumers. Hat's off to Stephen and his crew! Their website is loaded with information, and also include A LOT in the owner's manual of your amp. If you at least read all of the owner's manual, you will get a real education! I'm extremely impressed with Zed Audio for doing this. Their website gives an excellent breakdown of their amps, and their features. But they do not stop there. They also explain why. For example, their Minotaur subwoofer amp is rated at 500 watts at 4 ohms, and 1,000 watts at 2 ohms. And they further explain the math behind the numbers. For example, an amp may give out 500 watts at 1 ohm. But doubling the power does not double the volume, as one may think. In order to have a perceived doubling of volume, you would actually need 10 times the amplifier power! So as explained by Stephen in his website, you can get a bit more volume at lower loads, but this comes at the expense of sound quality. -Channels 1+2 can run in FLAT mode (Pre-amplifiers completely bypassed), High Pass or Low Pass from channels 5+6. Build quality of the amps are stellar. They showed up well protected and double boxed. The box that the amps are actually in was just a plain white box. It works well, and no need to spend extra cash for a printed box. Opening the box showed an amp that was well protected in packing foam. And what caught my attention first was the Plexiglas. I love the Plexiglas cover on top of the amp, so you can see all of it's glorious high quality components. Connecting the RCA's to the terminals, you could feel the Tiffany RCA's with Teflon inserts were excellent in quality. As was the knobs for the crossover and gain controls. I really liked the early legible arrow on them, as well as the easy to read labeling on the amps, so you knew exactly where you were in the sensitivity settings and the crossover frequency settings. I have never seen an amplifier with more flexibility than the Leviathan III, with its onboard crossovers. I use an AudioControl DQSX EQ/Crossover for system control. But it is not quite up to the task of running a full Active system on it's own, with my configuration (I have 3-ways in the front, and 2-ways in the rear). But thanks to the Leviathan III, I just used the single set of outputs for the rear to run to the Leviathan III. I used the crossovers in the Leviathan III to accurately control the tweeter, midrange, and midbass of my fronts. Not everyone may need this level of flexibility, but in my book it is better to have it and not need it, then to not have it and need it. The Zed Audio Leviathan III is also EXTREMELY efficient, providing up to 190 watts per channel. And not to worry about it beeing too much for your speakers. The Leviathan III employs a dual rail design to be as efficient as possible. It mostly runs off of the lower rail, which would supply up to 60 watts per channel. When it senses that more power is needed, the upper rail is instantaneously turned on and access to the full 190 watts per channel is available. Part of the quality is not just the hardware. Zed audio also provides excellent tech support. If you have a problem with your amp, or maybe just a wiring question, they are just an email or phone call away. Installation was simple, and again I loved the high quality. The right side was for all of the wiring connections, for power ground, remote turn on, and speakers. The left side was for the RCA's, and all of the controls. I liked the separation of the RCA's and the power and ground wires. It has modes of auto and manual. In auto mode the amp shuts off when no music is sensed. It factory set to auto mode, with instructions on how to switch it to manual by moving a jumper. The amp would turn off momentarily during quiet passages, and then turn back on. I would also miss the first second or so of a song. Following the instructions for taking off the Plexiglas cover and moving the jumper was very easy to do, and solved the problem. When it came to the listening test, I was blown away. When listening to amps, I like to use the analogy of horsepower and torque with cars. Engines can have horsepower, but lack that torque. So when I listen to amps, I like to listen to how they seem to be performing with providing the necessary power. They may be able to provide the power to play loud, but do they sound thin when doing it, of just seem strained doing so...like having a lack of torque. The Leviathan III had none of that. In fact it was just the opposite....as if I was trying to pull a small 8 foot aluminum fishing boat with a semi truck. It seemed to just have an infinite supply of reserves to power anything I threw at it. And listening was not just about supplying the drivers with power. It was also about getting the best sound out of them. And here the Leviathan also performed in Spades. For the true audiophile out there, this is one superb amplifier, and has the most flexibility I have seen. I employed it to power my reference German Maestro MS 64010 3-way reference system in an active system. Each driver...the tweeter, midrange, and midbass drivers had their own amplifier channel. The built-in crossovers worked perfectly, with a high-pass filter on channels 1&2, and bandpass filters for channels 3&4 for the midrange, and channels 5&6 for the midbass. How did it sound? Lets just say I feel like The Joker, with a permanent grin on my face. Signal to noise ratio was awesome. Imaging was sublime, with instruments being just where they should be. And the sound from my favorite tunes come thru perfectly transparent without any noticeable traces of coloration. Fresh Aire II: Going To Another Place has crisp and clean percussion and cymbals. The flute had a lot of air. And the drums had great midbass response and come thru in the midbass drivers with a lot of authority. The resolution was stunning. I had the same level of resolution when I put in Alice In Chains. In multiple tracks, I could actually hear the motion of the fingers on the stings and bridge. Vocals came thru with previously unheard resolution and texture in the timbre. Infact, every music type that I thru at it.....classical, jazz, new age, rock, pop, etc, came thru with a sound cleaner and fuller than previously experienced. I asked Steve how it sounded compared to Class AB, which historically has had the best sound in car amp topology. He told me that with the new hi speed Mosfets and other new high end components, there is no loss in sound quality with his Class D amps when compared to the Class AB topology. And after listening, I would have to completely agree with him. It is highly efficient AND has the best sound quality. Yes, with Zed Audio, you can have your cake and eat it too! How do I best sum it all up? WOW! The Zed Audio Leviathan III performed like a champ. Sound quality was stellar, and it performed without a glitch. It didn't even get hot. And the coolness factor of the Plexiglas cover would be nothing less than jaw dropping for all who see it. At $788, it is not cheap, but you most definitely get what you pay for. 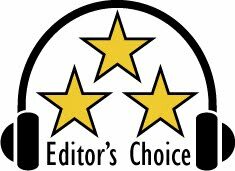 Based on their design, features, and performance, the Zed Audio Leviathan III amp easily won our Editor's Choice Award. If there was one thing I could suggest, it would be to include a birthing sheet to show how many watts each amp is benched at. I can't thank Stephen enough, not only for the work on these fine amps, but for the work done in the car audio industry for decades. If you are in the market for a new amp, check out Zed Audio. You will be glad you did! For more info and complete specs, check out their website at: http://www.zedaudiocorp.com/. Reference gear used was Kenwood DNX-9980HD receiver, German Maestro MS 654010 3-way component speaker system, Alpine SPX-13PRO 2-way component speaker system, AudioControl DQXS six channel digital crossover and equalizer, and Kicker 15" L7 subwoofer, JL Audio XD600/6 amplifier, Vibe Audio BlackDeath Bass 1 amplifier.